You just want to make the most of the summer rides you have left, and we just want to help! 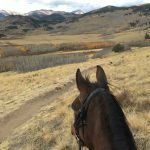 Summer is the best time to be at the barn, but it can also bring horse health challenges that keep you from enjoying your summer adventures. That’s where we come in! Our Supplement Experts are here to save your summer with smart solutions that tackle your common summertime problems, and they’re just a call, click, or text away if you have any questions. Your poor horse! It’s so tough to see your horse itchy and miserable, isn’t it? First things first, you’ll want to talk to your horse’s veterinarian about what you’re seeing. Your vet knows your horse best, and they’ll be able to help you uncover why your horse is so itchy and help you develop a plan for how you can address the itchiness as well as the raw skin. Depending on what your vet recommends, your plan may include both immediate and long-term solutions, like the ones I’ve outlined here. Because itchiness can be caused by pesky insects, you may want to keep your horse covered with a fly sheet during turnout. The Shires Sweet Itch Combo Fly Sheet is the perfect solution for sensitive horses like yours because it provides poll-to-tail coverage and is soft, breathable, and lightweight. Next, you can stock your grooming tote with topicals designed for horses with sensitive skin. Equiderma Skin Lotion is a must-have for conquering problems like itchy skin and mane and tail rubbing. Simply apply this lotion to your horse’s itchy spots and let it do its job! If you’re looking for a shampoo, give the Eqyss Microtek Medicated Shampoo a try. It contains a combination of ingredients that soothe on contact and help create a healthy environment for healing. 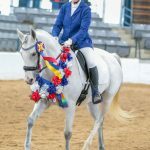 Now that we’ve found a few ways to help your horse stay comfortable in the short term, let’s talk about how you can give your horse long-term support from the inside with a supplement like SmartItch-Ease. This formula provides a unique combination of ingredients to help deter biting insects and promote healthy skin, plus key ingredients for immune support and a normal response to inflammation. Keep in mind that skin and coat supplements take about a month to reach their full benefit, so don’t be discouraged if you don’t see results right away. If you add this formula to your horse’s supplement program now, you’ll be helping ensure that he can have healthy, resilient skin all year round! Unfortunately, this is a common summertime problem! 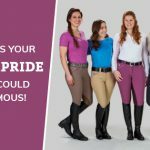 First of all, you want to be sure that you’re partnering with a qualified hoof care professional and keeping your horse on a regular maintenance schedule. If you’re worried about your horse’s hoof health, start by talking to your hoof care professional about your concerns because he or she knows your horse’s hooves best. Consider asking if a therapeutic hoof boot like the Easyboot Cloud may be appropriate for your horse’s issues. I also have a few suggestions that you can talk over with your hoof care professional. One reason that you may be seeing this issue crop up now could be because shifts between wet and dry environments – like going from the dry arena to a bath and then to a dry paddock – happen often during the summer. Frequent, dramatic shifts between wet and dry environments can cause hooves to rapidly expand and contract, which can lead to cracks, fissures, and other problems. To help combat this, try to limit the number of shifts between wet and dry environments that your horse’s hooves go through each day. In addition, consider trying a topical that’s designed to protect your horse’s hooves from excess moisture. Kevlar Tuff Hoof Guard Sealant seals nail holes and small cracks in the hoof wall, keeping natural moisture in and the environment out. Finally, proper nutrition is another area of hoof health that can’t be ignored. Daily support from a supplement that provides ingredients like biotin, copper, and zinc may help your horse maintain healthy, resilient hooves all year long. Farrier’s Formula® Double Strength is the gold standard in hoof supplements, and it’s the perfect way to provide comprehensive support for weak, cracking hooves. Another option to consider is SmartHoof Pellets, which offers fundamental support to help maintain healthy hooves. Keep in mind that your horse’s hooves grow from the hairline down at an average rate of ¼” per month, so it will take 9–12 months for your horse to grow a new hoof. If you start a hoof supplement now, you’ll be riding on your horse’s entirely new, healthy hooves next summer! 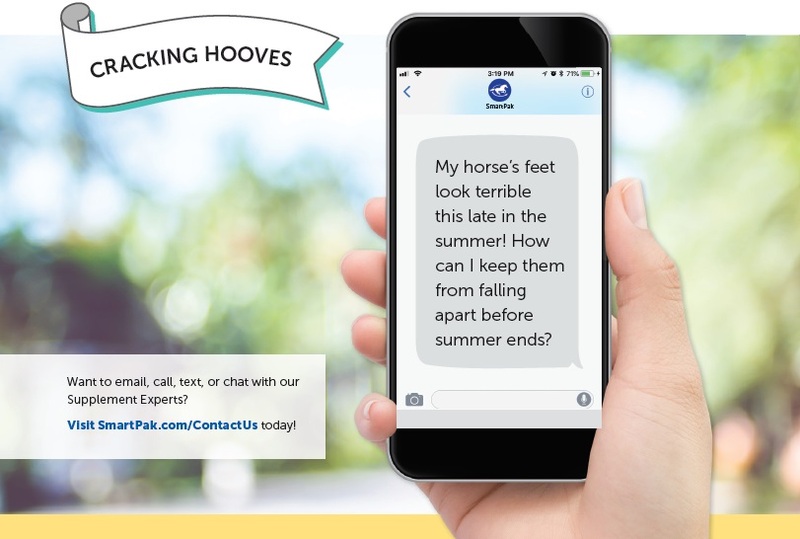 Your horse is lucky to be spending all his time outside this summer – I wish I could say the same for myself! While we can’t bring back his dark coat color back right away, I do have some ideas for how we can help maintain his coat color in the future and for how we can prevent it from getting worse in the meantime. First of all, we need to protect your horse’s coat from the sun so that it doesn’t bleach out any more this summer. Many fly sheets do double duty and provide protection from both the sun and the bugs. One of my favorite options is the Kensington SureFit Protective Fly Sheet, which offers 73% UV protection. Along with a fly sheet, you can use spray-on sunscreen like the Absorbine® Santa Fe™ Coat Conditioner and Sunscreen. 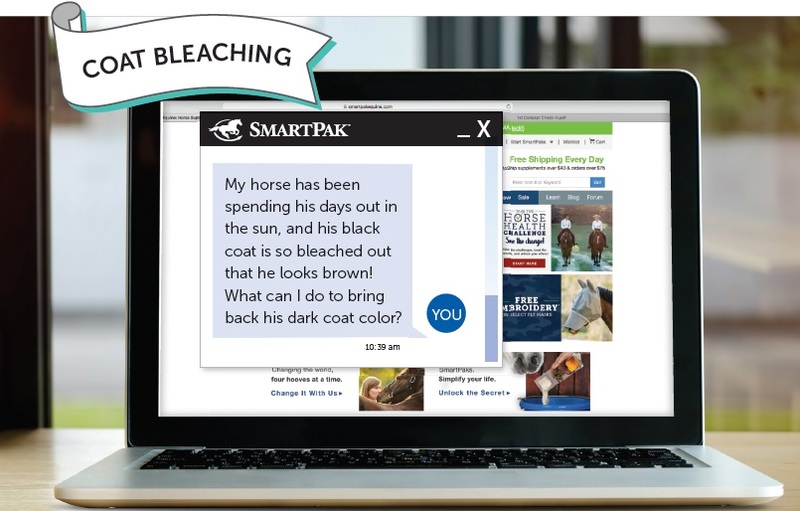 Now that we’ve covered how you can help your horse now, let’s go over how we can help your horse maintain his black coat in the future. Dark coat color supplements like SmartDark & Handsome® provide omega 3 fatty acids and key ingredients such as paprika and nutmeg to support a dark, rich coat color. While these supplements can’t change your horse’s already sun-bleached coat now, they can help ensure that your horse stays his handsome self next summer. To see the full benefit of these supplements, you’ll want to start your horse on one before the next sunny season begins. 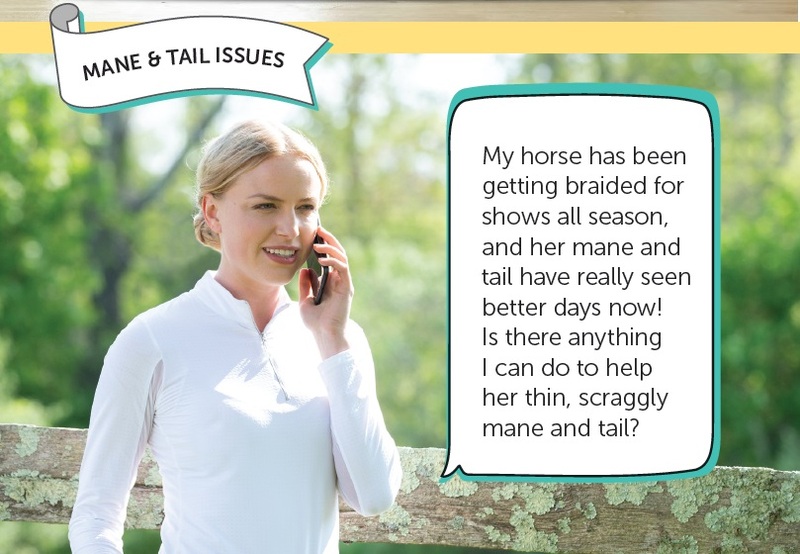 Show season can be tough on even the healthiest manes and tails — sometimes it feels like no matter how careful you are, you still manage to pull out hairs when you’re taking your horse’s braids out! 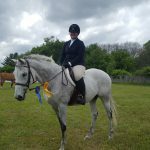 Fortunately, along with being careful about how often and how gently you comb your horse’s mane and tail, I know of a few other ways you can support healthy, resilient hair now and in the future. To help strengthen your horse’s mane now, I’ve got two popular options for you. Eqyss Mega-Tek Rebuilder strengthens manes and tails, helping to ensure that hair doesn’t break as easily. It can also revitalize hair on bare spots, so it’s perfect if your horse has rubbed out a part of her mane entirely. If your horse’s mane and tail are dry and brittle, consider the Mane-ly Long Hair Repair Conditioner. This conditioner helps hydrate and repair hair, leaving it soft, silky, and less likely to break. In addition to giving those topicals a try, I’d also recommend adding SmartMane & Tail™ to your horse’s supplement program. This formula provides biotin, collagen, and other key ingredients for strong, healthy hair to help your horse grow beautiful locks again. Remember that just like with your own hair, growing a healthy mane and tail takes time and patience. You’ll see your horse’s new hair growth start to come in at the base of his mane and tail, but it will take time before you see the results that you’re hoping for. Need helping saving your horse’s summer? call, text, or click away!